A Journalism for All summer school, funded by the local authority Southwark Council and a grant from The Big Lottery – Awards for All scheme, was piloted by CJET in south London. Southwark, the borough in which the course was held, is an area with high proportions of people with either no or very low skills. Around one in four people fall into this group. This serious issue of educational and skills attainment sits directly alongside a thriving knowledge based economy which requires higher level experience and qualifications. It was therefore essential for the local authority to work with strategic partners and organisations in the borough to offer solutions and that was why Southwark Council’s Economic Development Department helped fund the project. Students on the course learnt about news gathering, including the use of social media for this purpose, blogging, photography, video shooting and editing and improving communication skills. Among the field trips they made was a visit to Sky News. At the end of the course each students was given a certificate of achievement and some of them went on to do work experience at Time Out and the South London Press. A key goal of future CJET courses is the removal of obstacles to participation faced by previously excluded, disadvantaged young people. CJET courses endeavour to help disadvantaged young people come forward to take part in focused, work-related programmes and activities designed to assist in their development as adults. The trust’s training fills the gap where there was little on offer to previously excluded individuals in their locality or what was on offer was not relevant to them and their interests. BRADLEY: a young jobless black man from Brixton, south London, with learning difficulties. He has a keen interest and practical aptitude for filmmaking and working as a camera operator. Although Bradley struggled with writing assignments on the CJET Awards for All introduction to journalism course, his passion for film was met with CJET course modules in film and photography. Through CJET Bradley earned an internship with BEN Tv as a camera operator. 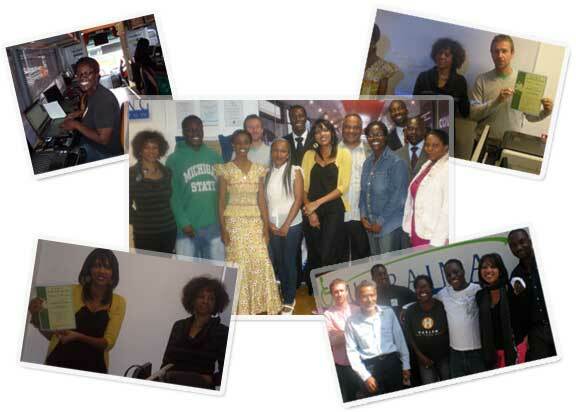 GRACE : a mature part-time worker of Ghanaian descent living in Croydon, Surrey, who wanted to run her own business. Grace was clearly dispirited as a university graduate who had found it difficult to get a full-time job. She was concerned about her financial situation. An able student of CJET’s, Grace now has a working slot on the popular community radio station Colourful radio. ANTHONY: a mature, white working class father of two from Camberwell, south east London, who had recently separated from his partner and was made redundant from his job as a printer. He was eager to find employment again and wanted to explore the possibility of becoming a reporter for a local newspaper. Anthony said that training gave him the opportunity to explore journalism as a new career option and the Trust got him work experience on the South London Press. All CJET student/learners are trained so that they can go back to their communities with a much improved knowledge base and media and other skills that will help them to find employment and get involved in creative pursuits. CJET’s pilot Journalism for All summer school course used The-Latest.com website as a training platform for its student/learners. Here’s a video of a CJET students visit to Sky News in west London. They were taken on a tour by Rob Kirk, the broadcaster’s editorial development manager, who referred to Marc Wadsworth, editor of The-Latest.Com, in this short clip. When Rob was editor of Thames Television’s Thames News programme, Marc worked for him as a reporter-presenter. The video was created by CJET student Guy (Mulongoy) Momat.